Attraction Pro-Tips Series: Each month, we&apos;ll bring you our tips for visitors for navigating and exploring Huntsville/Madison County attractions. I’m as close to a local as you can get in Huntsville, having moved here in 1990. Although I’ve been a long-time space geek, I figured it would be limited to me and my lonesome self. 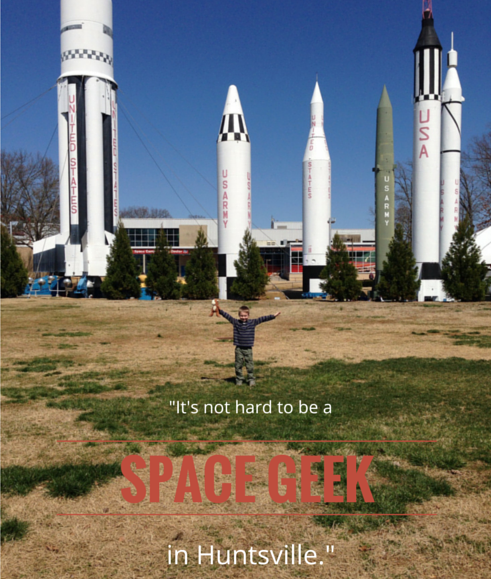 It’s hard NOT to be a space geek in Huntsville, even if you’re just passing through. The towering Saturn V moon rocket that resides outside of the U.S. Space & Rocket Center is a landmark in our city skyline, making everyone familiar that this – The Rocket City – is a place that prides itself on being the birthplace of NASA and all things space. Wait, you didn’t know that? NASA was founded here, in Huntsville! 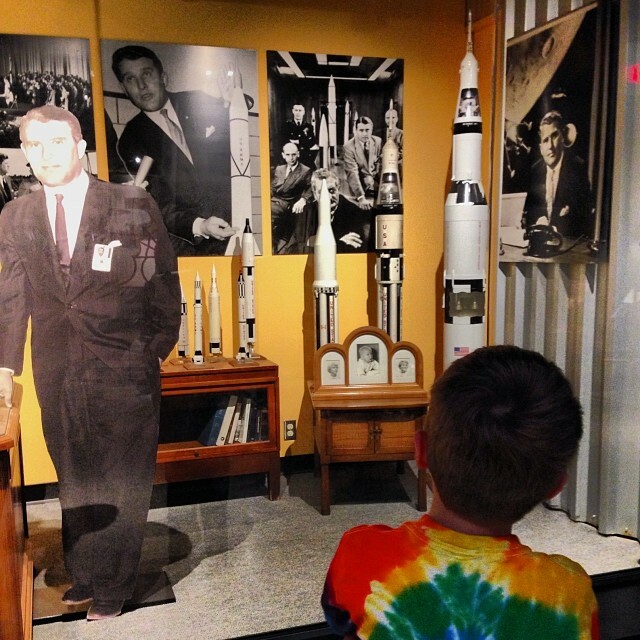 Wernher von Braun and his team centered themselves in north Alabama to create a national headquarters of space exploration. When people tout an attraction as “fun for kids of all ages”, I’m usually who they’re marketing to. With boys ages 14 years to 20 months, I cover the entire spectrum. That said, I’ve found that the U.S. Space & Rocket Center is best suited to kids grade school to high school ages (and, of course, the eternal children like myself). Although technically a museum, the center features hands-on features that can entertain kids for just an hour or an entire afternoon. The large arena at the center of the museum rotates exhibits, so make sure to check the website before you visit. We’ve enjoyed some of the exhibits immensely, often spending the majority of our time in them. 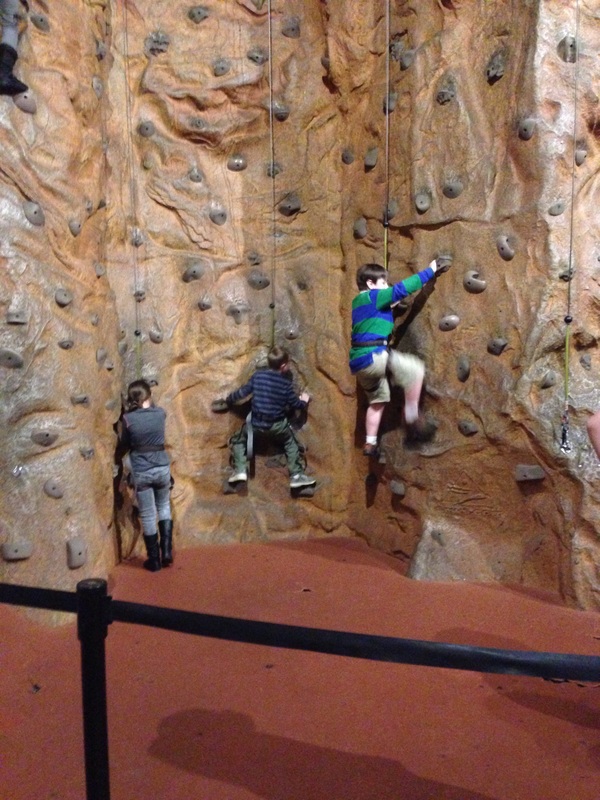 Outside of the rotational exhibits, your kids can enjoy letting off some steam at the rock climbing wall. (You can imagine how this is a particular favorite of my household.) They have professionals staffed to make sure everyone is harnessed correctly, and the various parts of the wall increase in skill and difficulty. If you’re gravitationally challenged (like myself), feel free to browse the nearby exhibit on Huntsville’s contributions to the national missile defense programs. Another “must make” stop is the Journey to Mars simulation, located near the rock wall. Again, I am a person who has an agreement with gravity that does not allow roller coasters or anything of that nature, but this simulator is fairly mundane (i.e. I can ride it). The boys LOVE it, and although there is often a line, it’s worth the happy screams. If the weather isn’t cooperating, no worries! Check out the IMAX Spacedome theatre, which fills your ENTIRE field of vision with an IMAX screening, bringing new meaning to immersion. 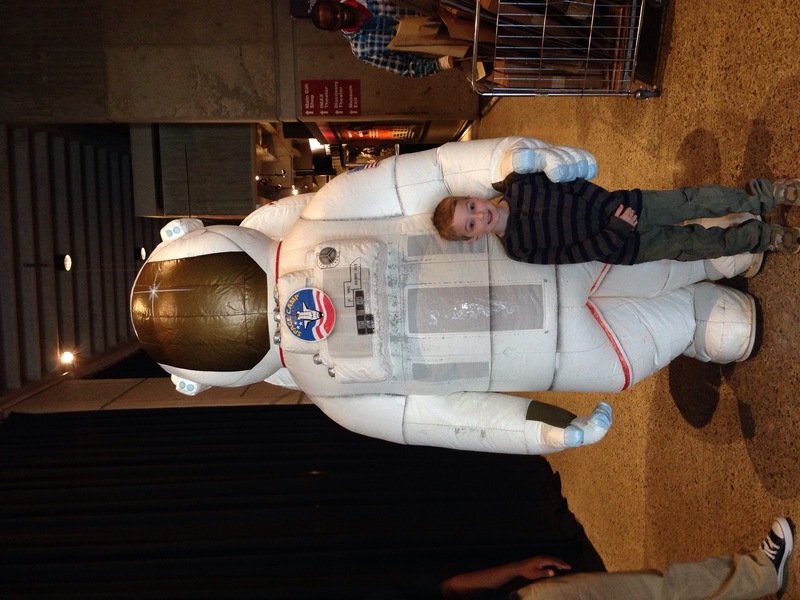 As I mentioned earlier, this center finds its sweet spot with kids at least 5 years old, but young space enthusiasts can be entertained in smaller bursts. 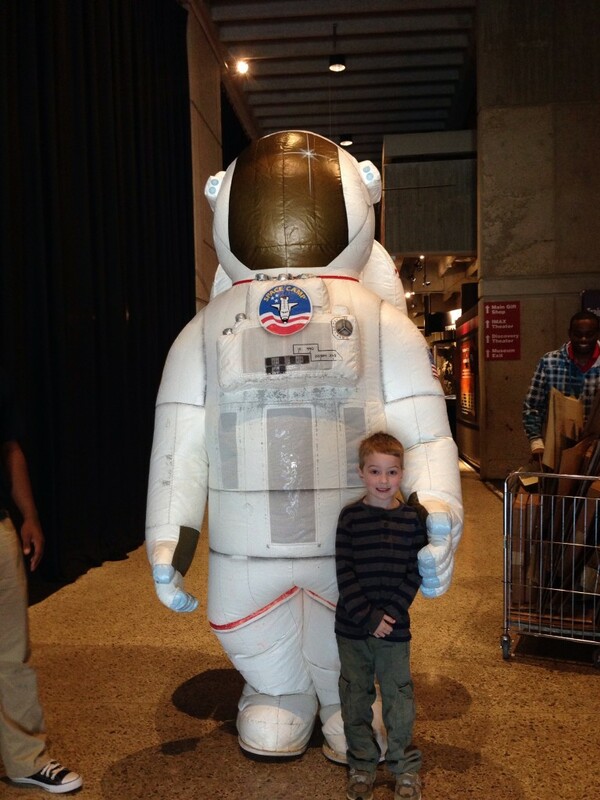 We often take all of the boys for an afternoon and while the baby might tire himself out early, everyone leaves fully invigorated for more space exploration – and that does a space geek’s heart good.